I want to thank everyone who attended my New Year’s Levee on Jan. 1. It was wonderful to welcome 400-plus residents to share more than 300 hotdogs, 300 cups of hot chocolate and hot cider. This is an annual levee, in which I personally provide the food and drinks served up by the Carlisle Optimists Club. It was great to see families celebrating the new year together! This week at council, we will be debating the major issue of allowing recreational cannabis retail outlets in Hamilton. Feedback to the province is due Jan. 22, so timing is tight. The decision is not an easy one and needs to be based on solid facts and scientific research from the provincial and federal governments — both of which have not been detailed. It is important to get this right, so council must consider the increased costs and strain put on policing, health care and bylaw enforcement that may be incurred by taxpayers. An exciting expansion at Fortinos Supermarket plaza at 115 Hamilton St., is officially moving forward. We are in the process of organizing a public open house for residents to announce further details — stay tuned for more info. The Ministry of Environment’s annual report on drinking water for 2018 has been released, which affects Carlisle, Freelton, Greensville and Lynden municipal water systems and rural property septic systems. This year’s results show that Ontario’s drinking water continues to be among the best-protected in the world. To keep the Source Protection Plan current, the Halton and Hamilton Source Protection Committee, on which I sit, has proposed an update to amend the mapping of the Wellhead Protection Area for the Greensville municipal well system, submitted to the Ministry for approval. If you have any questions, please contact sourceprotection@hrca.on.ca. Please join me for the Hamilton Winterfest, a wonderful new pop-up event coming to Waterdown Rotary Memorial Park Skating Loop on Saturday, Feb. 9, from 10 a.m. until 9 p.m. This is an exciting new partnership between Cobalt Connects and the Waterdown Rotary Club and will include live music, a Winteractive Air Hockey Tournament, the Bookmobile and story-telling by the Hamilton Public Library, cosy custom fire pit and much more. If you need help with any issues, call my office at 905-546-2713 or email me through my website at www.judipartridge.ca. If you see me in the community, please stop and say hello. 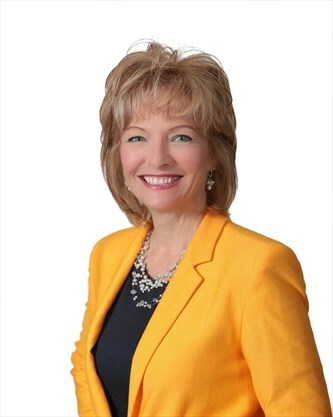 — Judi Partridge is the Hamilton city councillor for Ward 15 Flamborough, Waterdown, Carlisle, Freelton. She can be reached at judi.partridge@hamilton.ca.